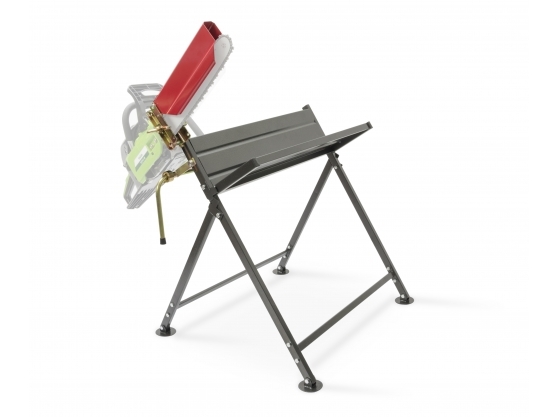 Cut logs up to 25 cm thick with this strong and secure saw horse. Boasting superb levels of safety, this all-steel horse not only holds the logs, but also your chainsaw, reducing the effort and strain required to cut wood over long periods. As well as being able to fold flat for simple storage, saw kickback while working with this saw horse is much reduced, and the top of the guide bar is covered for excellent safety. The measuring bar can be adjusted so that you are consistently cutting the same depth of log - great for easy stacking.